It is Iowa, the Hawkeye State,5 roughly 56,271 square miles of land bordered by Missouri to the south, Illinois and Wisconsin to the east, Minnesota to the north and South Dakota and Nebraska to the west. And the only state The Legal Genealogist knows of that had to be admitted to the Union twice without ever having seceded. The issue for the 1844 Constitution was the boundaries of the proposed state, in particular the northern boundary. 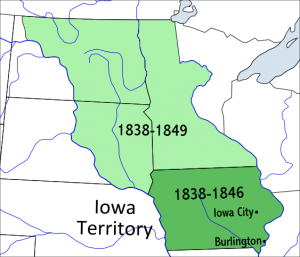 And that dispute led to Iowa being admitted as a state twice. 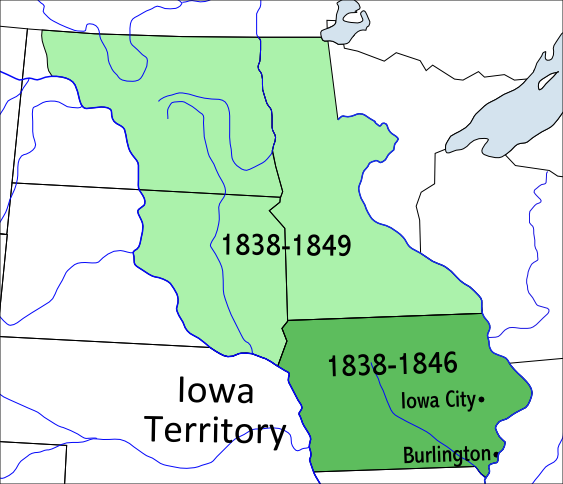 The original proposal for Iowa’s northern boundary would have included part of what is today Minnesota, but when Congress authorized Iowa’s admission as a state in 1845, it changed the northern boundary to reduce the size of the state.15 Iowans never agreed to the boundaries Congress set16 and so despite the law Iowa was not admitted at that time. 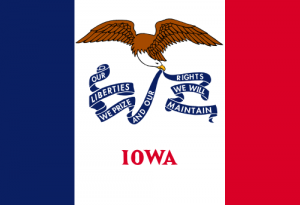 For further research, see the terrific resources on the debates over and history of Iowa’s Constitutions at the State Library of Iowa website.